I don’t usually buy toys for Iya. She receives gifts from birthdays, Christmas, and sometimes a few extras from her grandparents and other relatives. I’m really thankful for this helps me save a lot of money, time, and effort into toy evaluation and selection. But if ever I do buy, it has to be highly educational or… really cheap! This toy fulfils both that it would be crazy if I let this one pass. I was staring at the picture for the longest time. This should be for kids 3 and up so why the heck did they put a baby in there? Better be safe and follow the age recommendation than emulating the cover scenario. 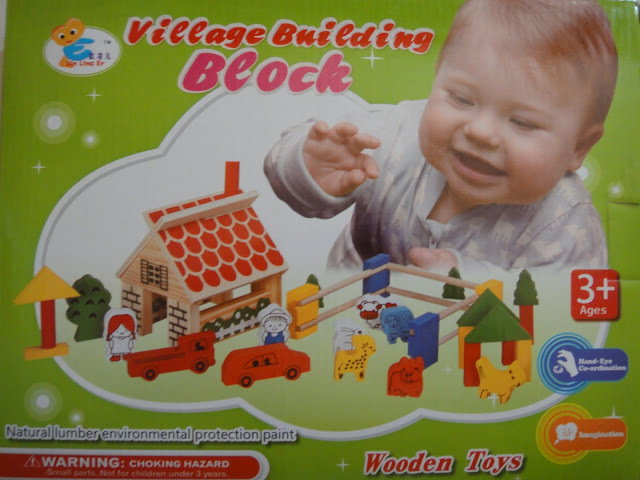 Playing with her blocks. 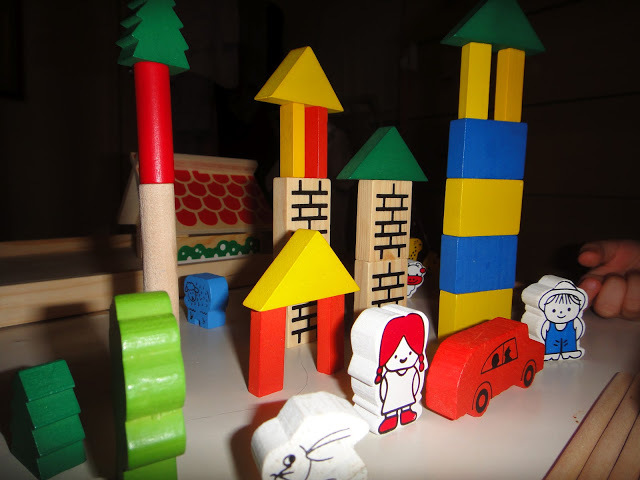 I helped her build the towers initially then she tore most of it down and made her own. I actually bought this last year but she was so busy with Playdoh’s (ever her favorite) that she just opened this one recently. 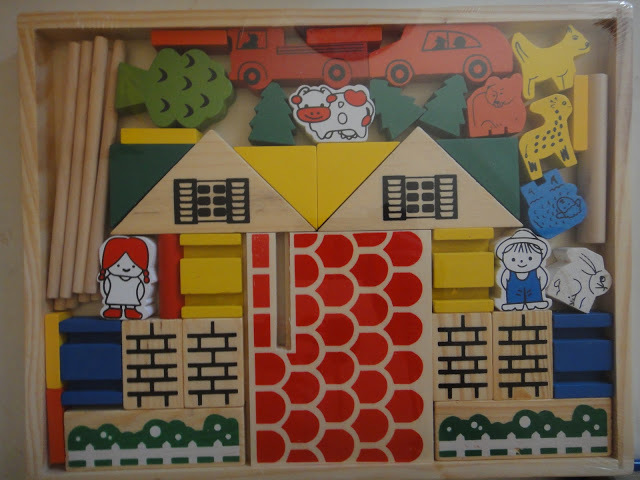 This is another wood blocks set that I happen to see in the 168 mall when I was looking for toys to give last Christmas. This set only costs 150 pesos which I don’t really know if it’s the last price because I was not able to haggle. After playing with her a few minutes, I deliberately let her play on her own so she can improve her hand coordination. 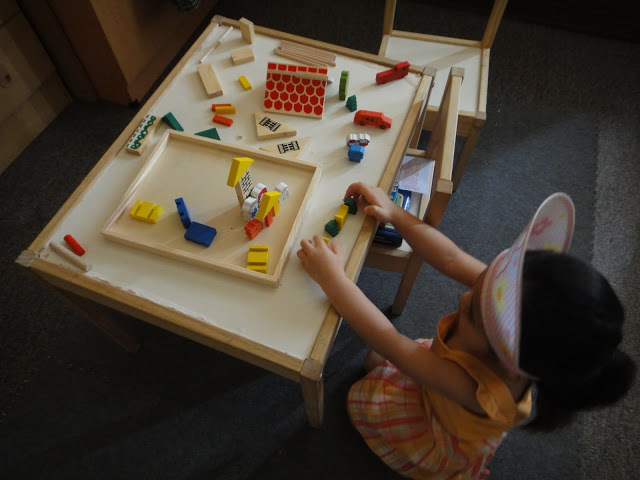 She became so frustrated with stacking the blocks because the pieces kept on falling. She was not aware of her sudden movements. 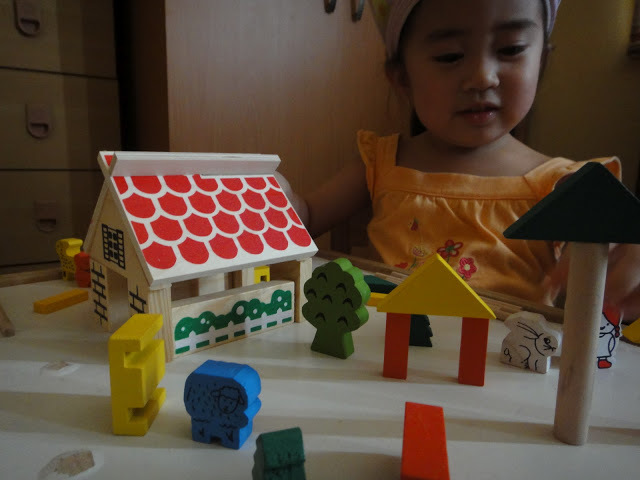 Wood blocks do not have knobs like Lego or Duplo and she has to learn how to gently stack and balance the pieces. Aside from being imaginative and creative, I hope this also helps with her writing so we can move on from her endearing squiggles.